Abstract Flat Geometric Lightning Backgrounds by themefire. It’s no secret that visual impact is one of the most important factors in web design. Of course, User Experience and Accessibility are not to be ignored, in favour of pure eye candy, but a good balance is a must for a thoroughly memorable experience. Where professional photography alone isn’t an option, either due to lack of time, money, skilled collaborators, or simply due to the need for more abstract imagery, digitally generated content is usually the go-to resource. In this article, we’re going to explore the numerous ways you can integrate 3D, abstract and geometrical designs, as well as the impact this particular design style has, in the context of a final web page or design product (as this style is as loved and sought after in print and offline media, as it is online). The best way to wrap your head around why this style of illustration has picked up so much in the last few months, is to take a look around at some of the popular design-oriented platforms, like Behance, Dribbble or Pinterest. Better yet, if you want to get down to experimenting straight away, have a browse through some of the amazing assets you can find on Envato Elements. Planetary: 50 Abstract 3D Shapes by Jim_LePage. Whether we’re talking about purely 3D artwork, all the way down to pseudo-3D effects applied to UI elements, you’re sure to find quite a few great implementation examples to kick off your own brainstorming sessions, or at least have a good reason to spend a few hours taking in all that graphical goodness. Why we love it: Perfect pairing of photography and 3D art, combined with excellent art direction used to synchronise with Beth Comstock’s message & style. Why we love it: Bright, strong colors, masterfully combined 2D and 3D elements, resulting in a really exciting final branding product. 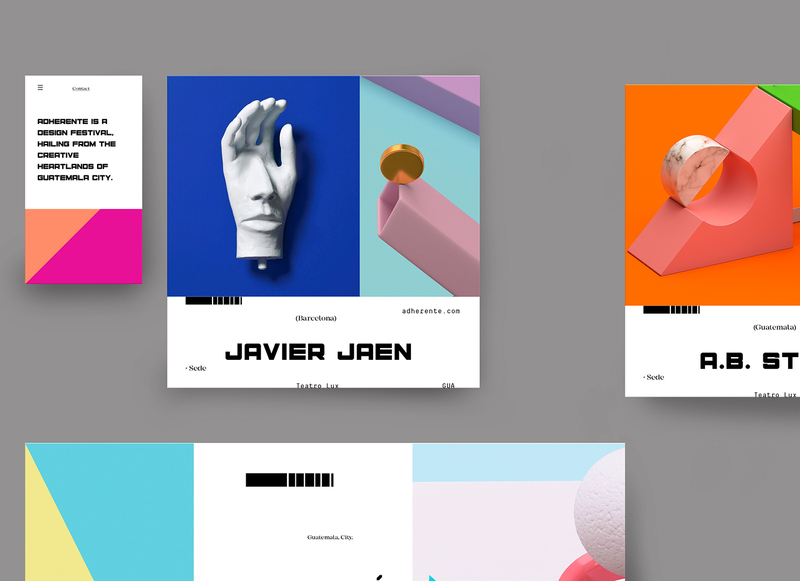 Why we love it: Beautifully balanced compositions, great amount of detail despite apparent simplicity, oh and gradients. Lots of lovely gradients! 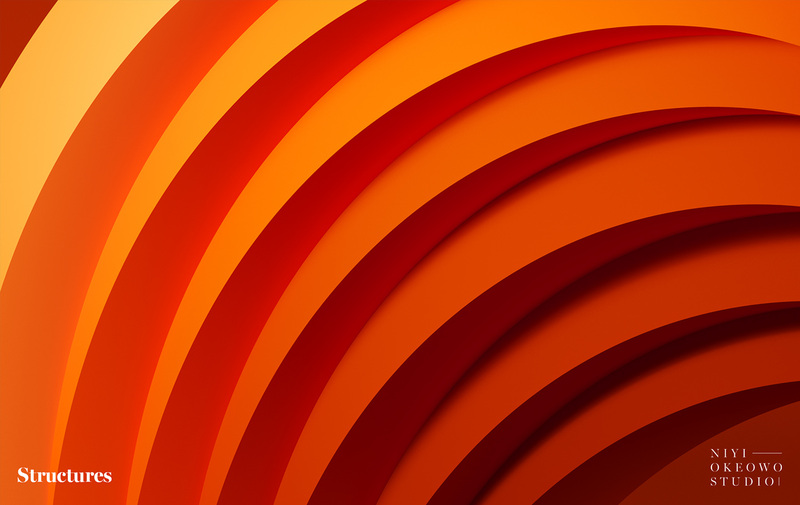 Why we love it: Using Adobe Illustrator to create 3D objects & then using them in patterns. Brilliant use colours. Incredible parallax effects, paired with some pretty sweet 3D transitions like accordions, curtains, blocks various cube animations, really make your work & content stand out! Every single project is presented with the help of spinning cubes, and even the navigation folds in and out of view to deliver a lovely and unique spatial experience. There is something special about flipping through the pages of a book, that didn’t quite translate onto the web. Luckily for us, this incredible theme by themevan delivers just that experience. If it could also do something to suggest the olfactive experience as well, that would be fabulous! Your visitors also have the choice of a more familiar navigation, should they prefer it over flipping pages. It too appears, after clicking the hamburger icon, featuring a pseudo-3D slide-in effect. Not only does this theme have a stunning timeline navigation, but aside from your mouse and keyboard, you can use your voice to browse through the content! If you want to build some 3D magic into your own web presence, you could always create a bespoke package to suite your needs using assets either sold on Envato Market, or an ever-growing selection of quality items found on Envato Elements, that are included with your monthly subscription. Excellent WordPress plugin to help you design fabulous Hero Images, Sliders or even fully-fledged One-Page, responsive websites using WordPress. Comes with its own object library, allowing you to create interesting parallax effects and animations with 3D elements. Immensely powerful tool, when combined with your own creative imagery! Generate your own realistic 3D text effects with this 3D mockup. You can easily change the colors of the backgrounds as well. One of the most popular trends in recent times, with regards to presenting web design work, is the perspective 3D mockup. With this asset from Envato Elements, you too can create breath-taking mockups, displaying your websites in a smooth hovering 3d style. This asset allows you to construct your own amazing custom hero/header images using new trendy, occlusion-style 3D objects. All objects rendered with alpha channel for easy placement on your virtual canvas. Finally, if you are looking to snag some 3D objects, but don’t have a 3D program to edit/render them out, you should check out PixelSquid’s 360 assets. Every single one of them allows you to pick the perfect angle, and download an impeccably isolated PNG, which you can then position them as needed within your composition. Low Poly Star 3D object. Try it out, and don’t hesitate to share your favorite projects with us via Facebook or Twitter. We love seeing what you come up with!